If you are looking for excellent quality Eggbutt Bits you came to the right place. Here at Horse Tack Now we strive to offer the finest horse supplies availiable. 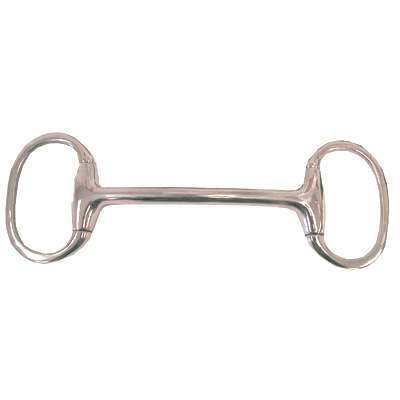 The Light Weight Mullen Mouth Eggbutt Bit sits on bars to give relief in the horses mouth as well as lip corners. This item measures 2.5'' in the rings and 12mm in mouth. Each and every one of our products is on sale now. Take a look at our horse bits and we are certain you will find what you are looking for. This item is also made of pure solid stainless steel which will last a lifetime. Only the best Mullen Mouth Eggbutt Bits are offered at Horse Tack Now.